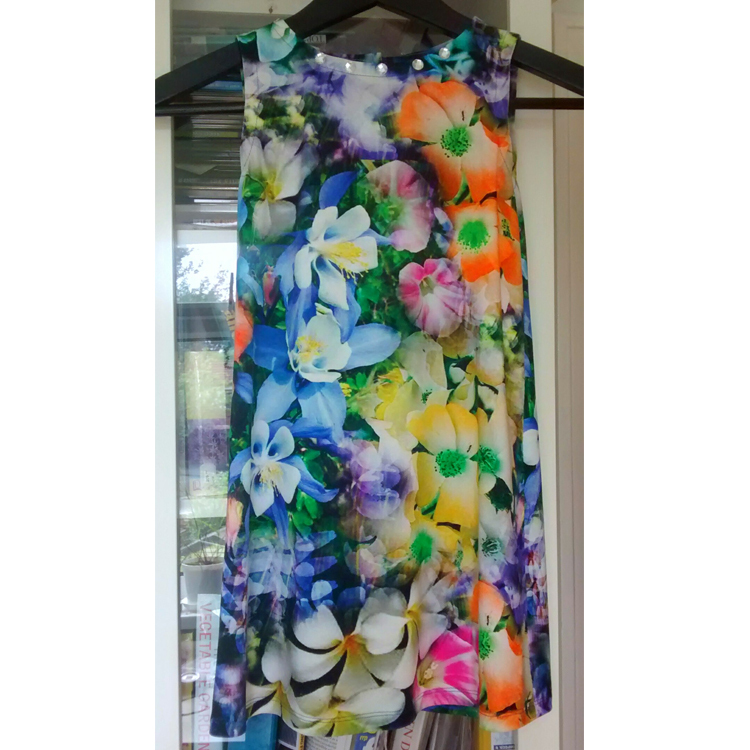 Abstract floral print viscose elastane jersey twist front dress made by Pam. 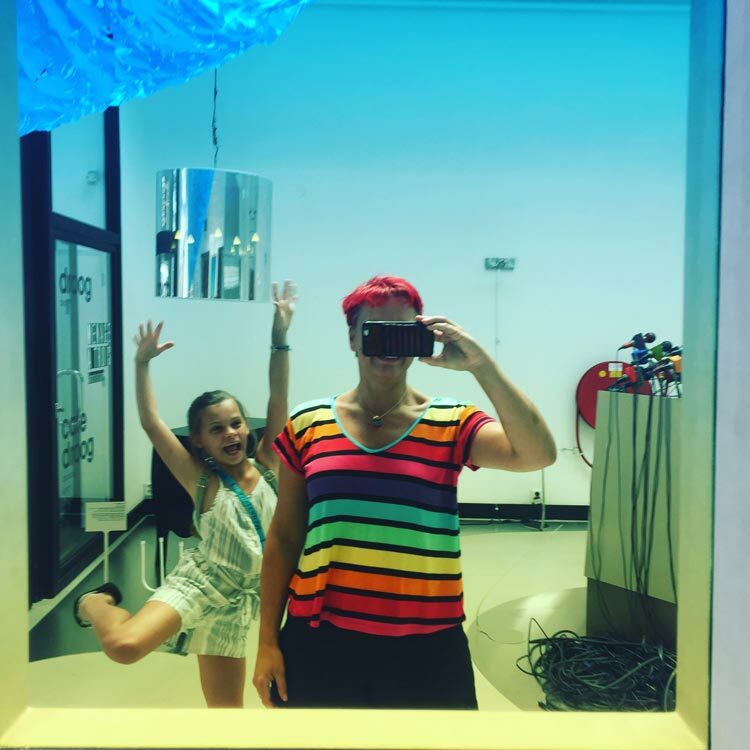 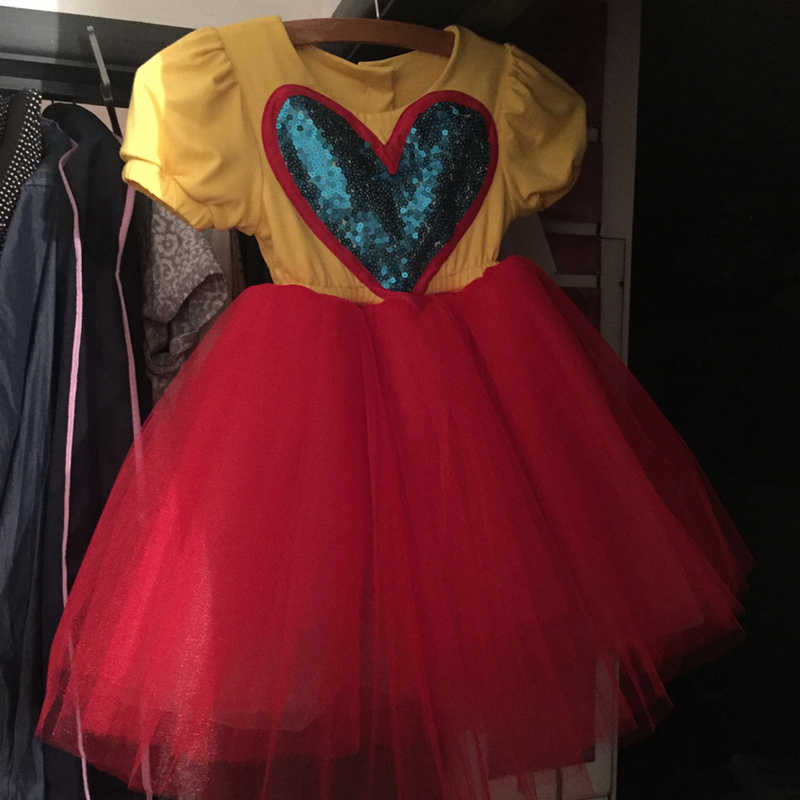 She loves it so much she made another. 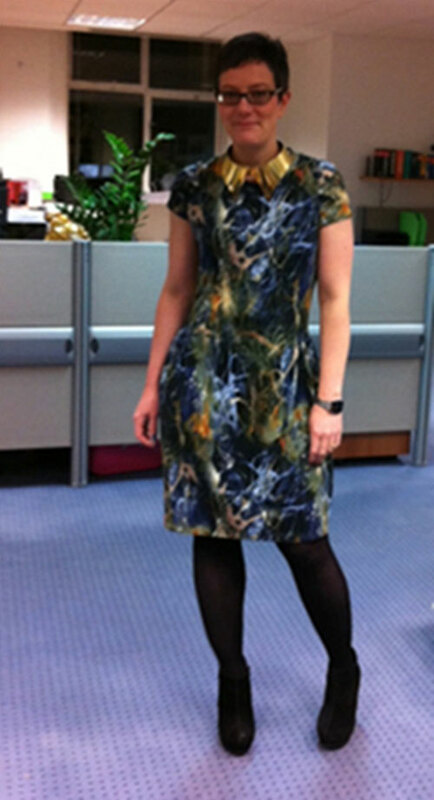 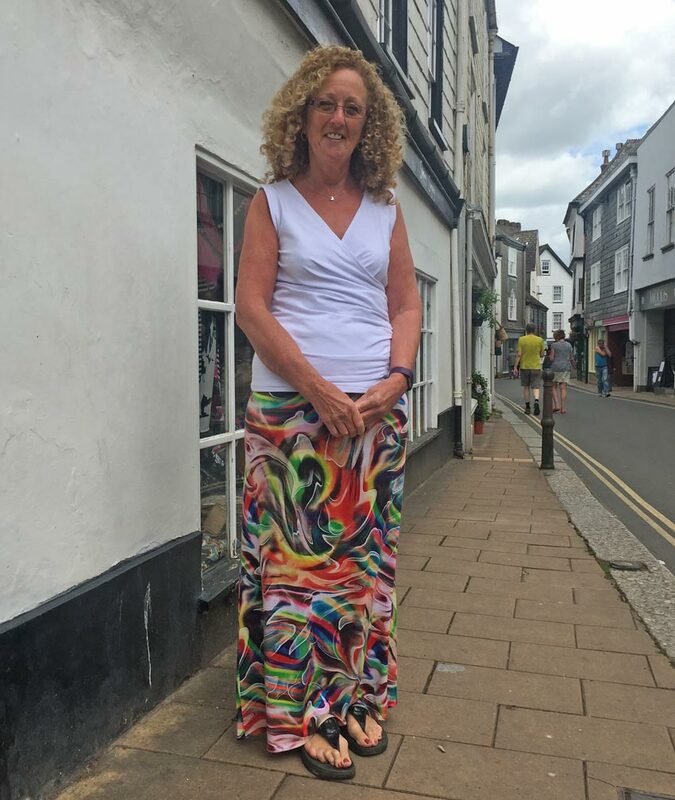 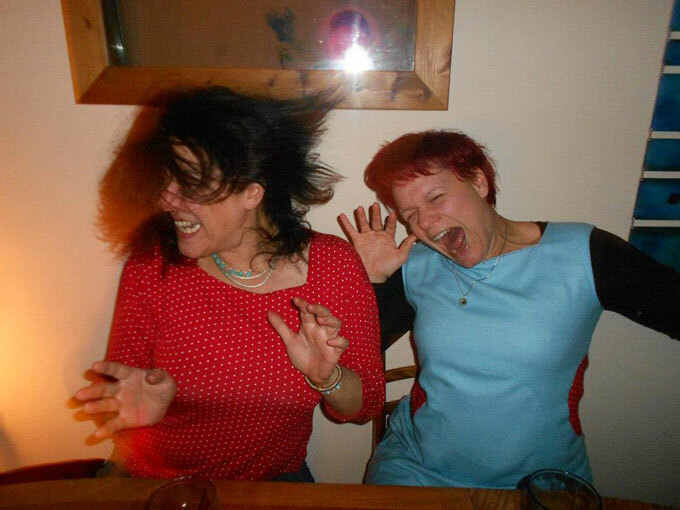 Digitally printed viscose and elastane jersey short sleeved dress made by Tracy. 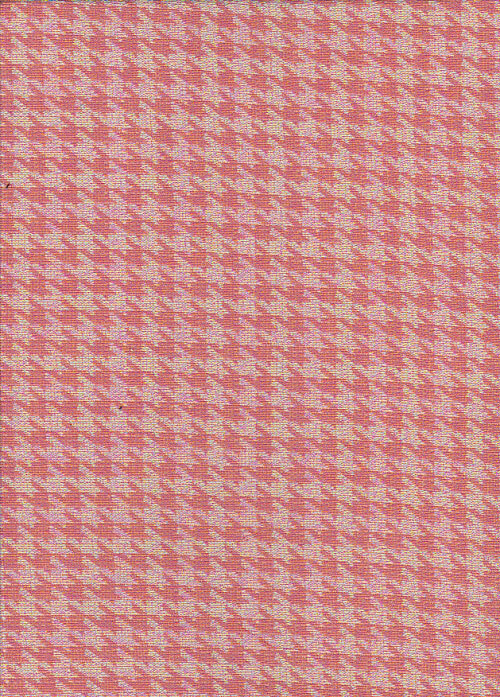 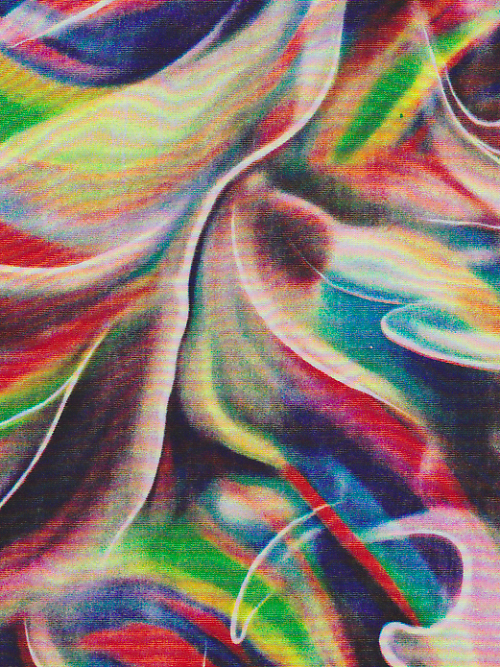 Pattern: Taken from the book ‘Drape Drape’ by Hisako Sato. 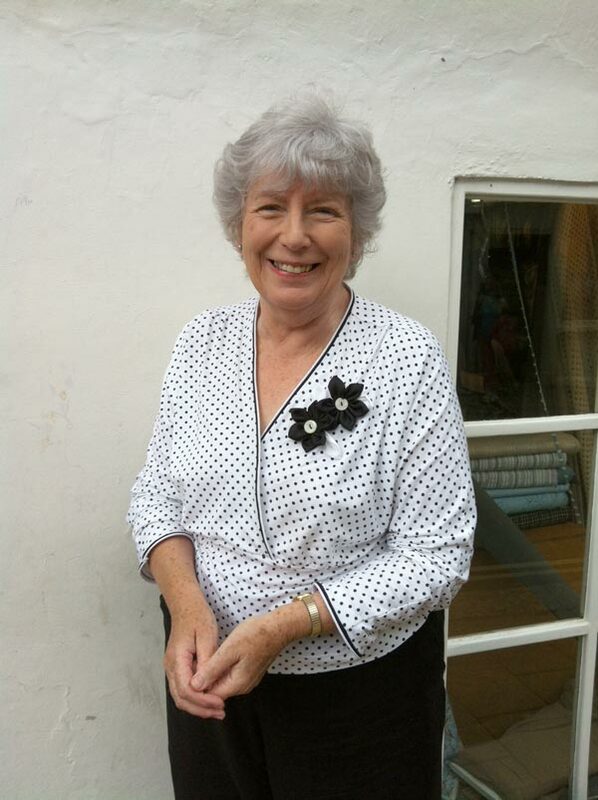 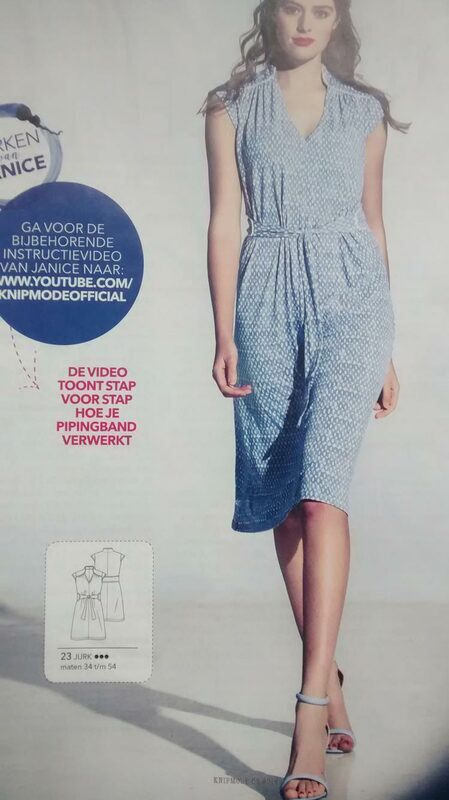 Sheila (from classes) wearing her white polka-dot jersey cross-over top with piping detailing and ribbon flowers. 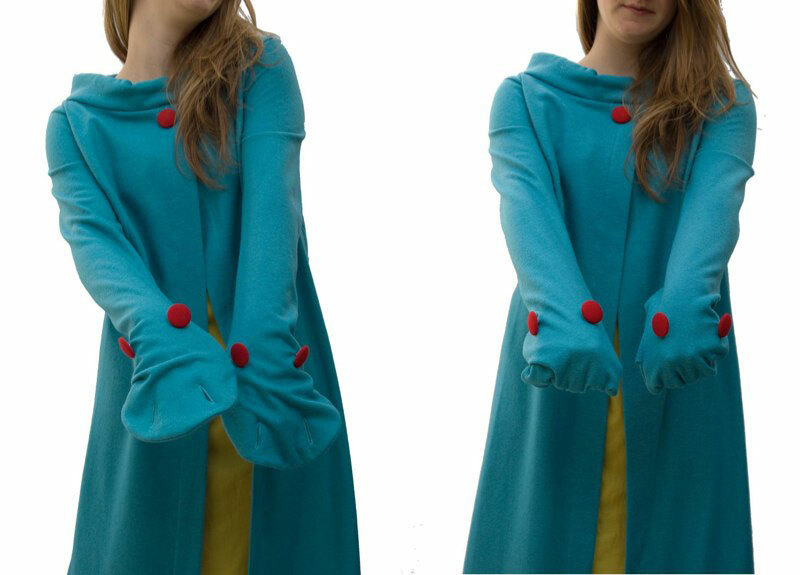 Kyra modelling the felted jersey cardigan designed by Bess with integral glove puppets. 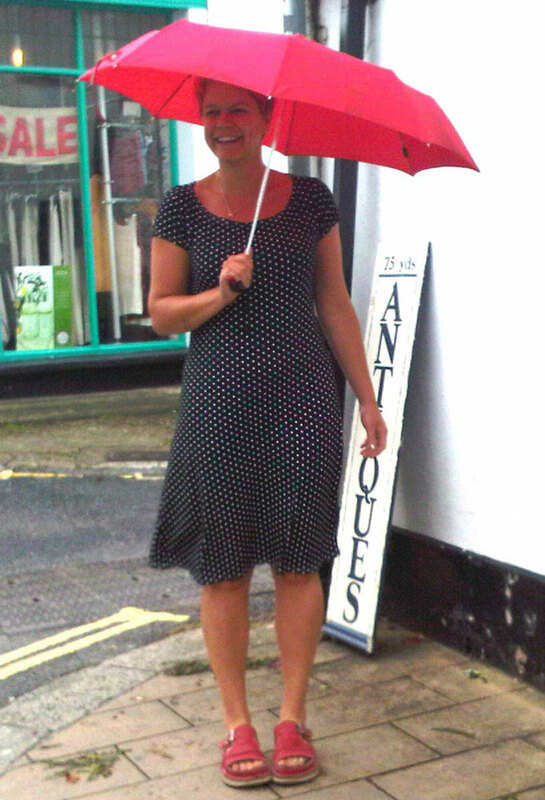 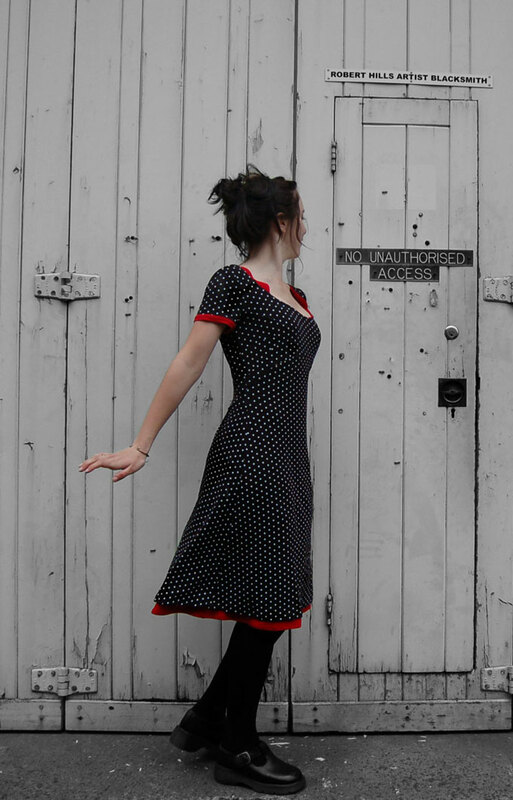 Maddison modelling reversible black and white polka dot dress (red on reverse) that Bess designed for her final degree collection. 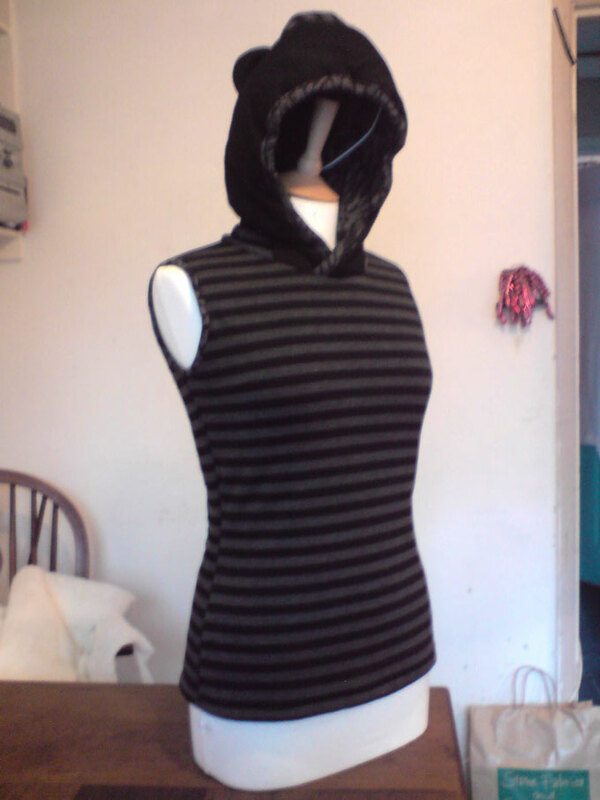 Bess made this sleeveless hoody with ears for Lulu using the lightest, softest jersey and interlined with wool wadding (sold in bed sized sheets). 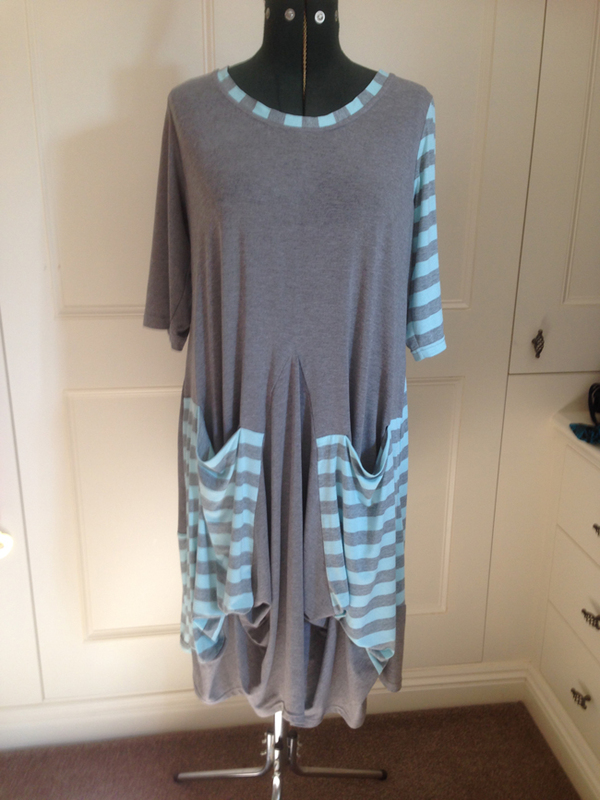 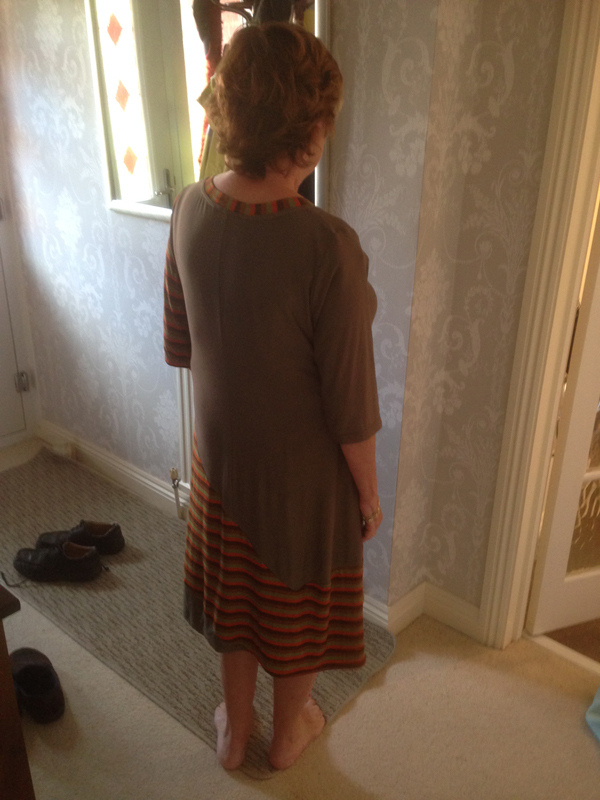 Bess made this reversible jersey dress as a dummy run for her final collection. 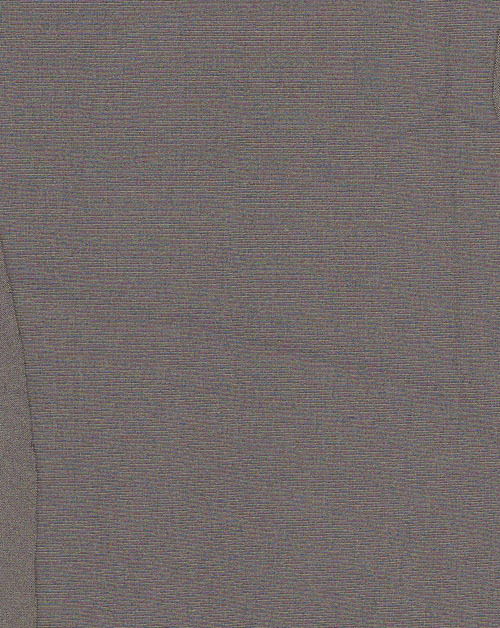 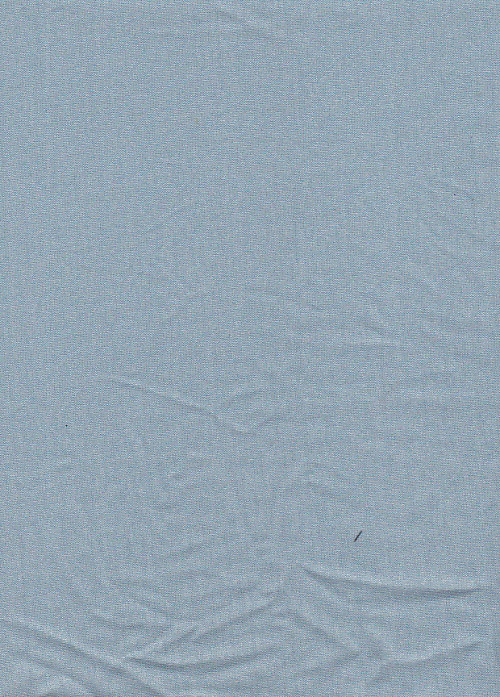 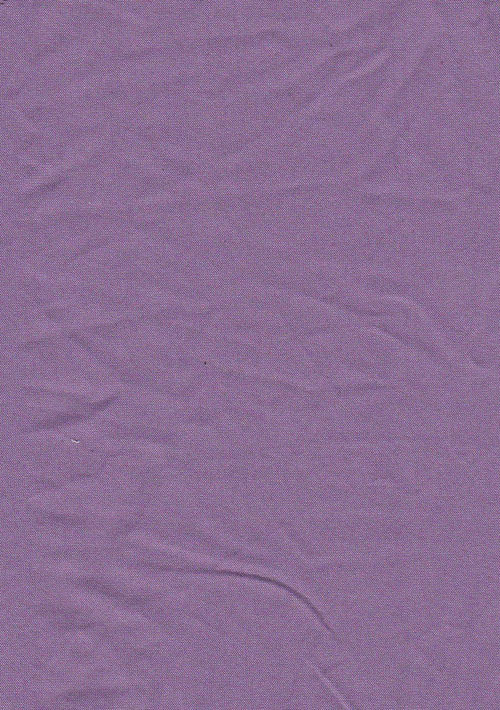 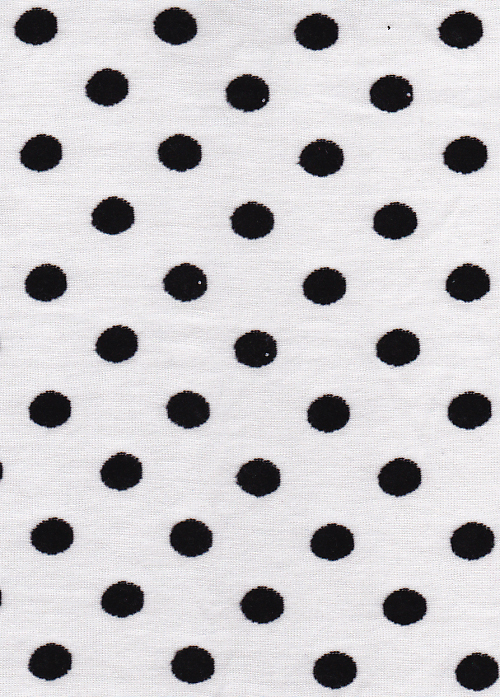 The plain side in a linen viscose jersey, and the spotty side is viscose elastane. 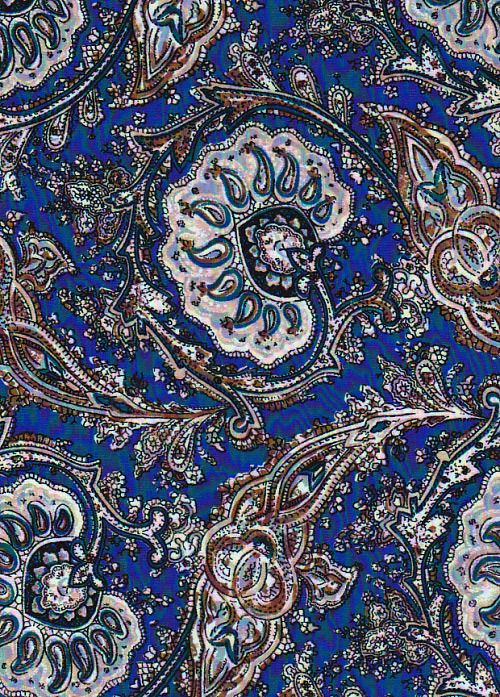 The pattern was designed on the stand. 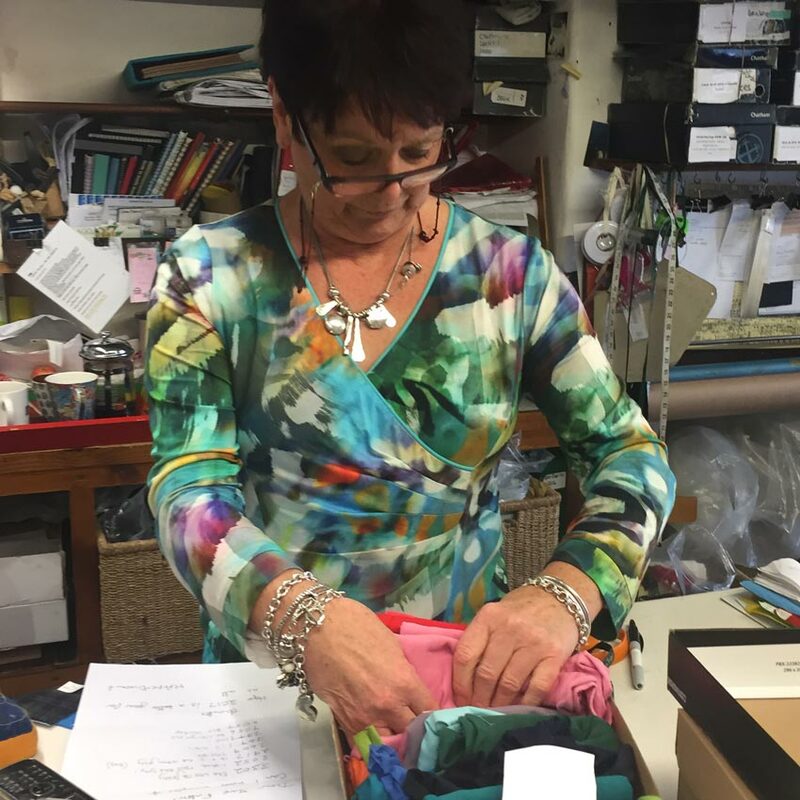 Overlockers are a worthwhile investment for the keen sewer, they are not essential for sewing jersey fabrics but they make life much easier, and quicker! 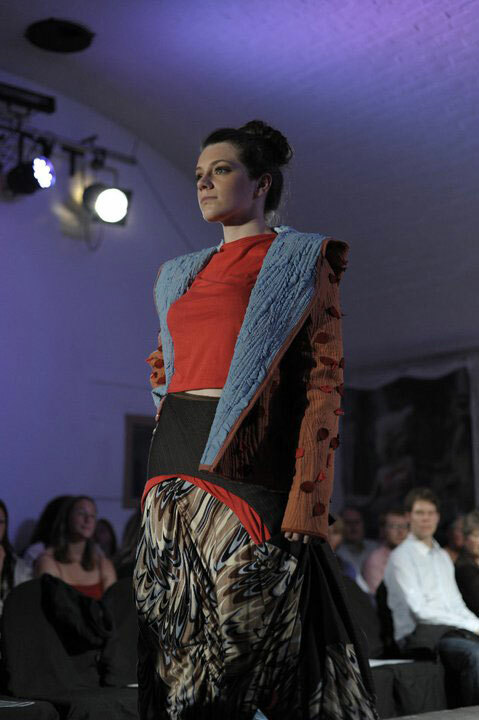 Alice’s jersey and sequinned bodysuit made for her degree collection. 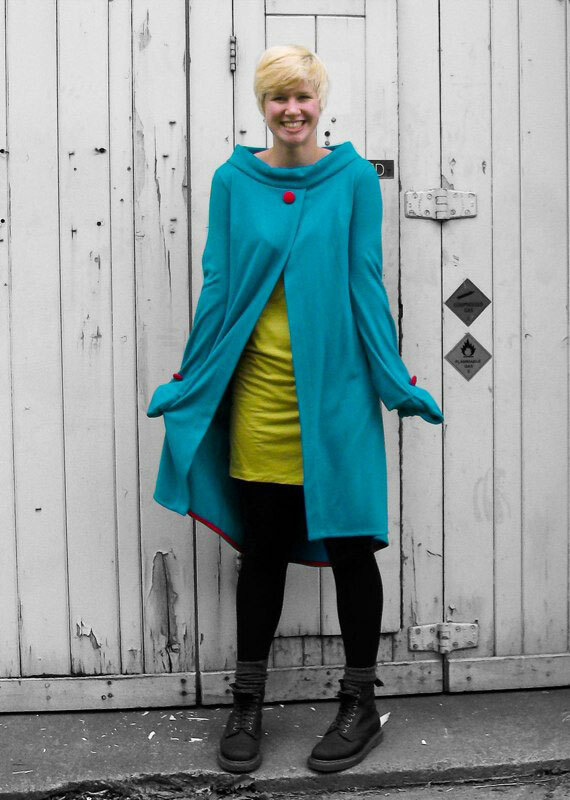 Alice’s jersey and faux fur midi tube dress made for her degree collection. 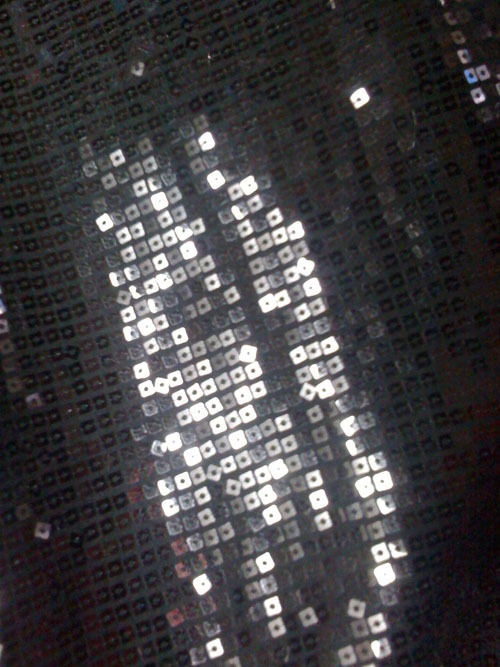 Alice’s jersey and sequinned mini dress made for her degree collection. 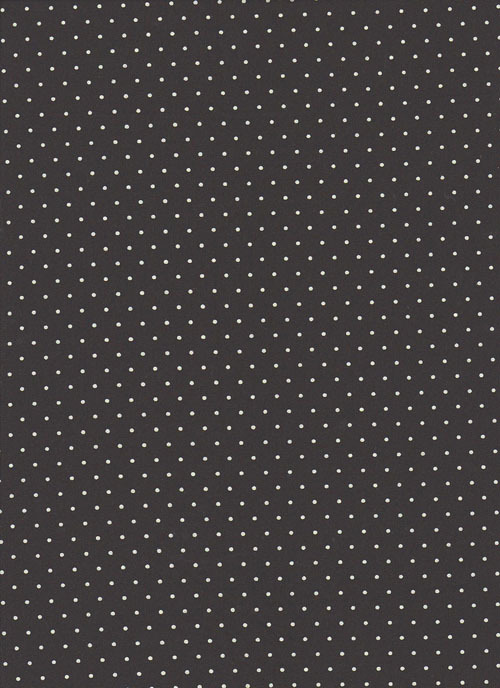 Polka dots are a great flattering print which withstand the fashion cycles. 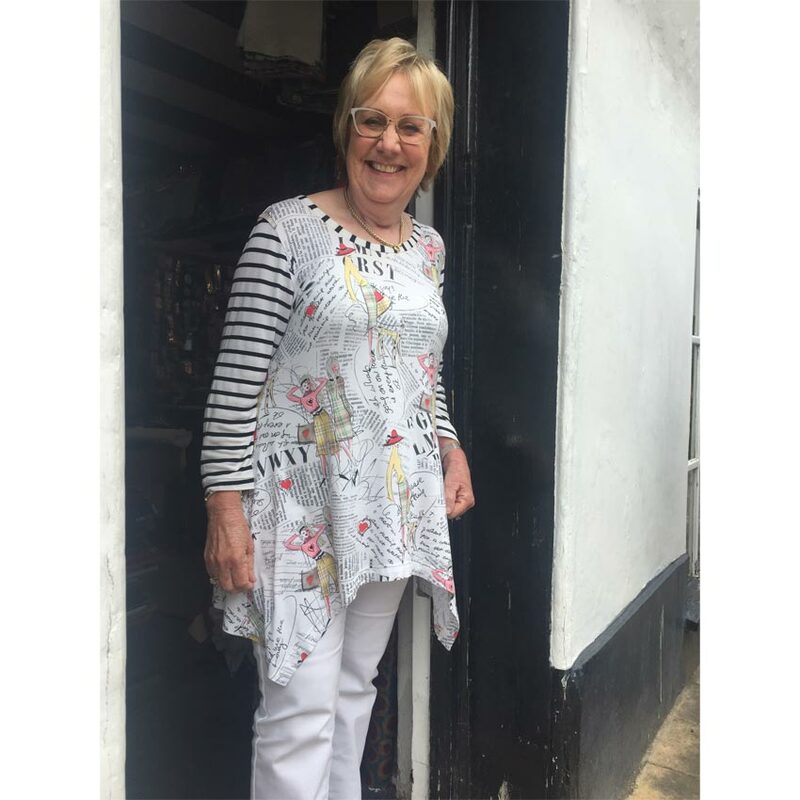 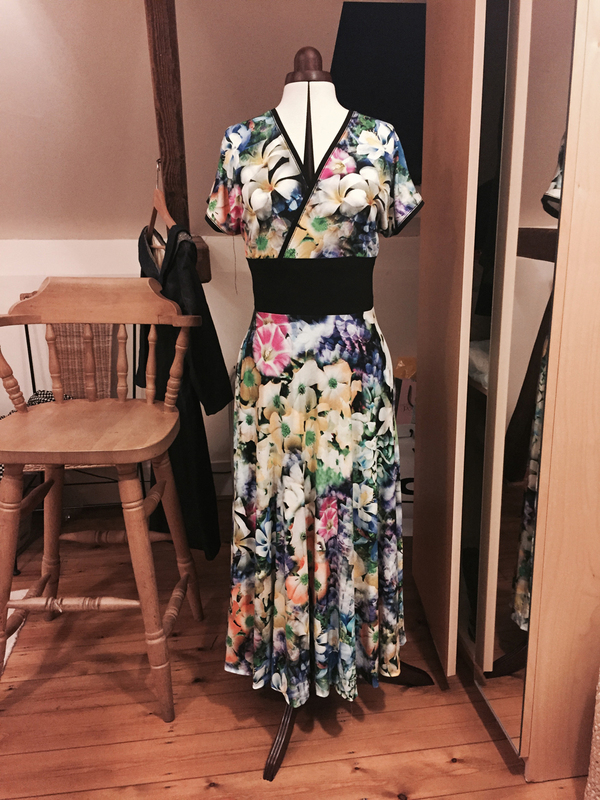 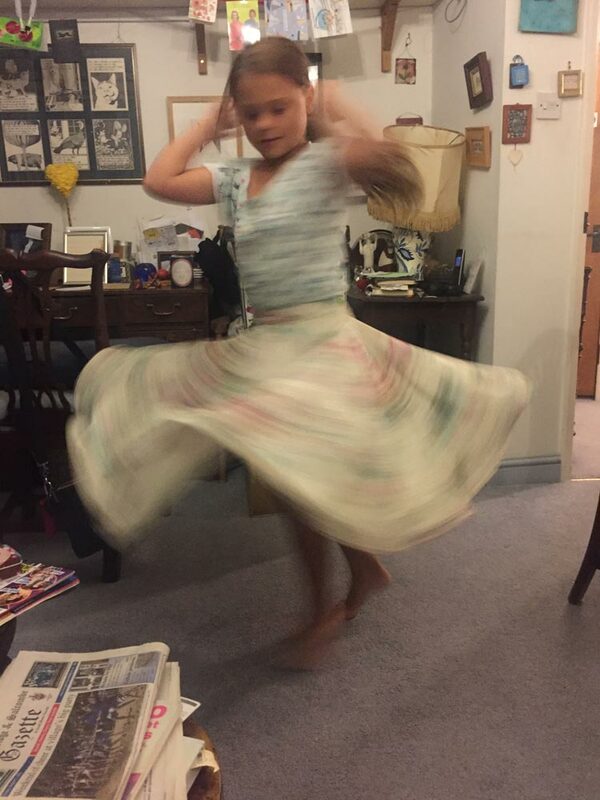 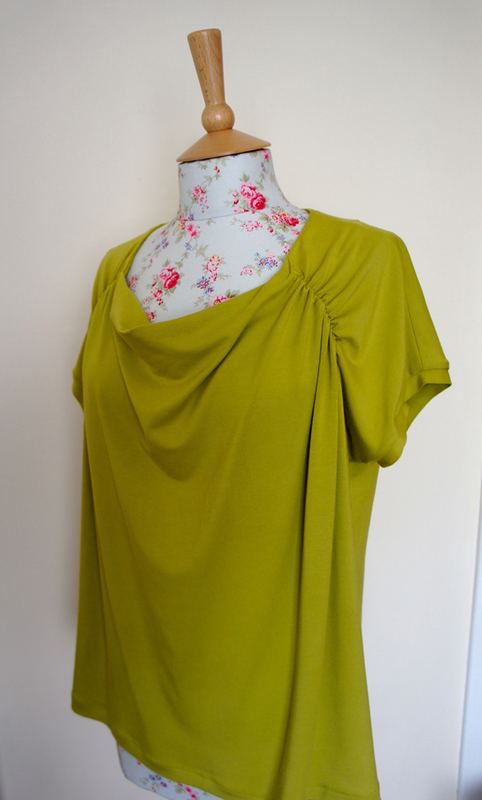 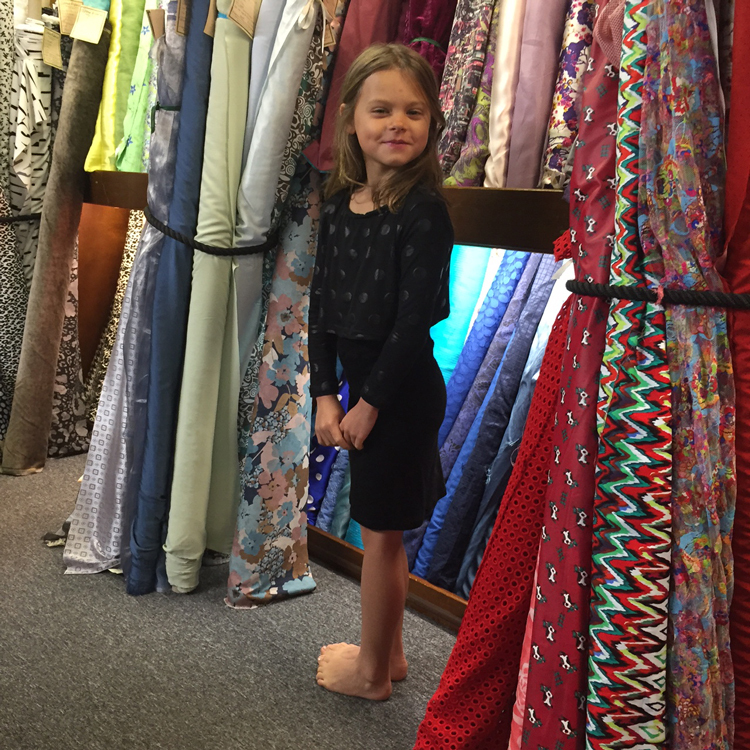 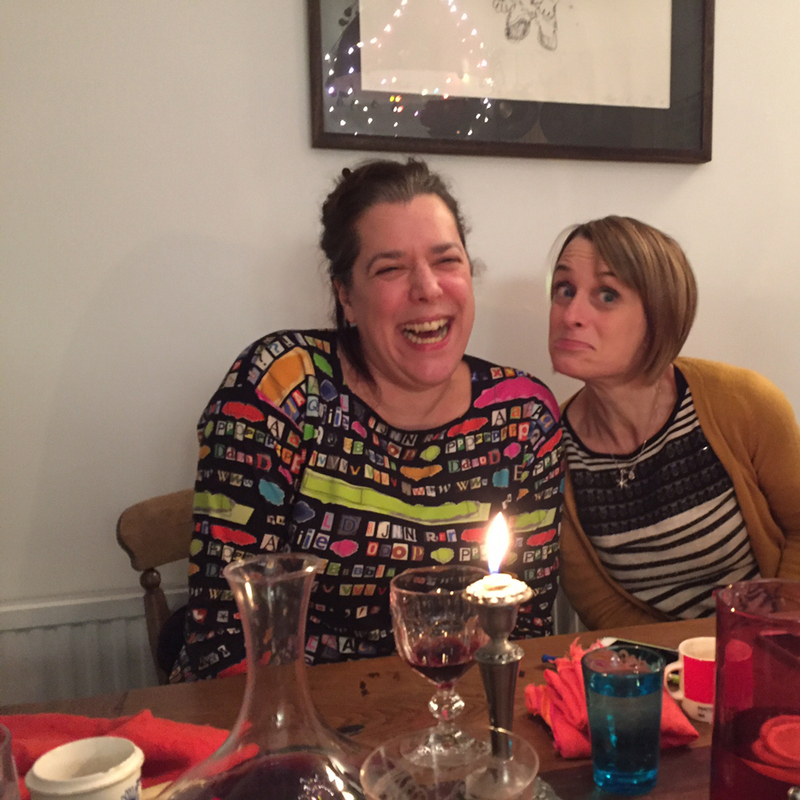 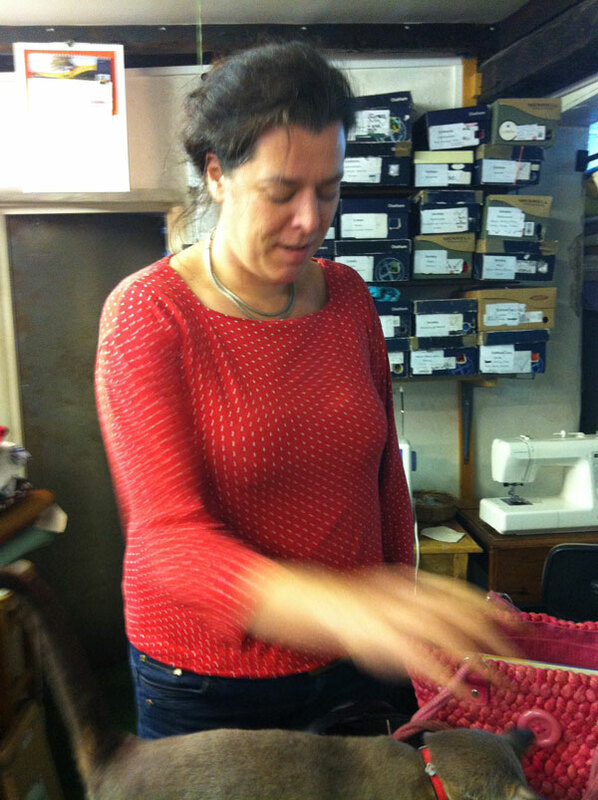 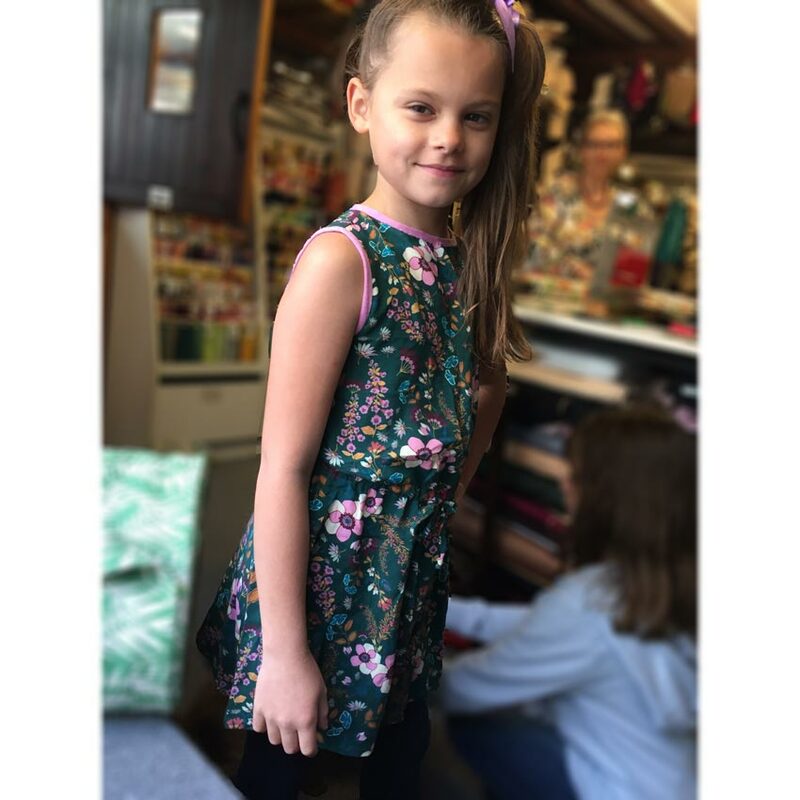 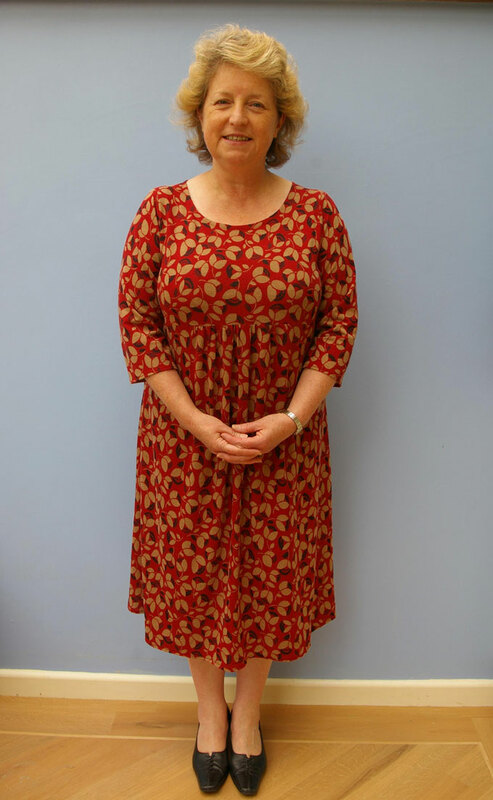 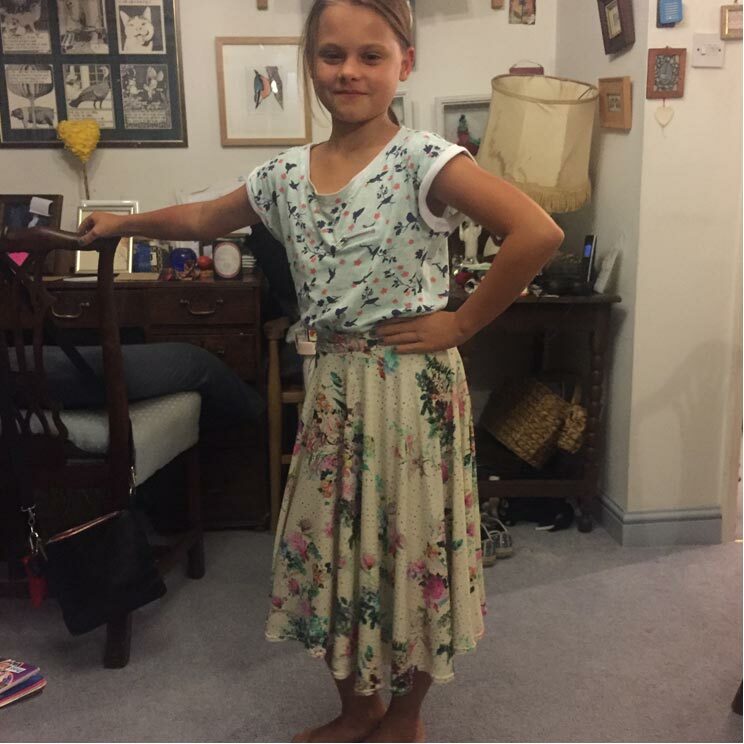 Bess wore this versatile dress to death and so made another one, it is so easy it can be made in less than an hour on the overlocker. 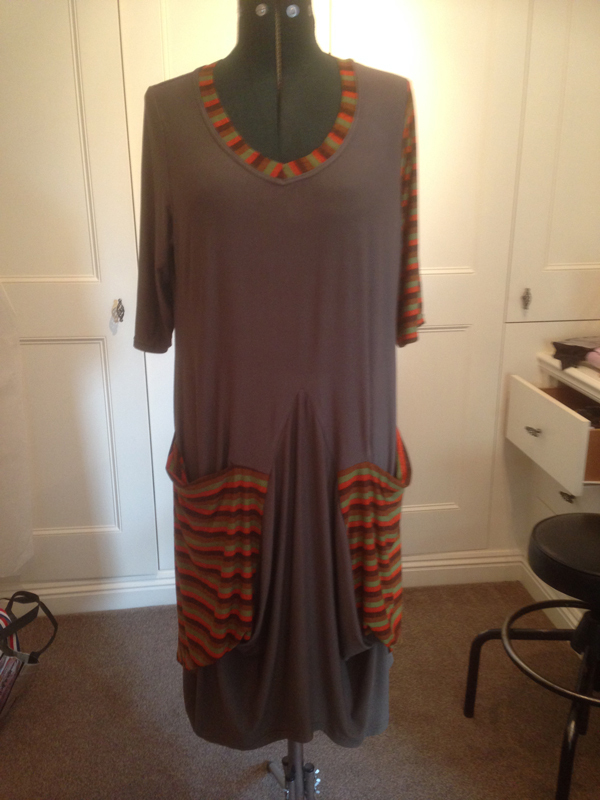 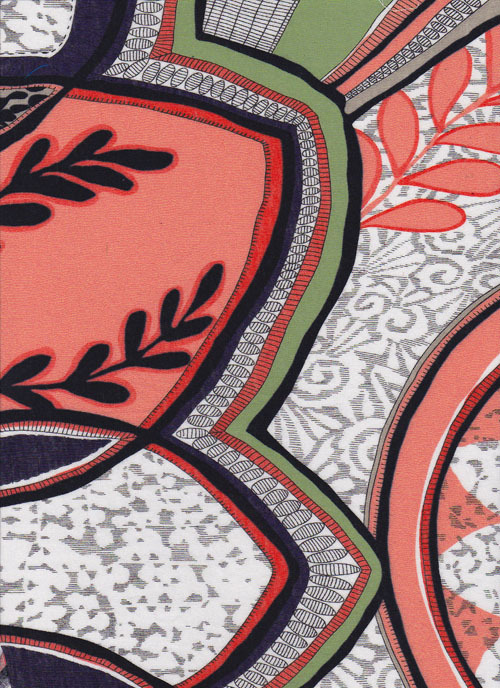 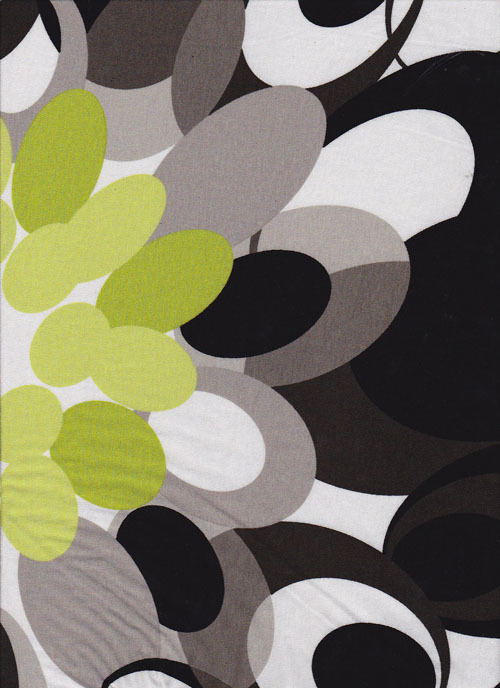 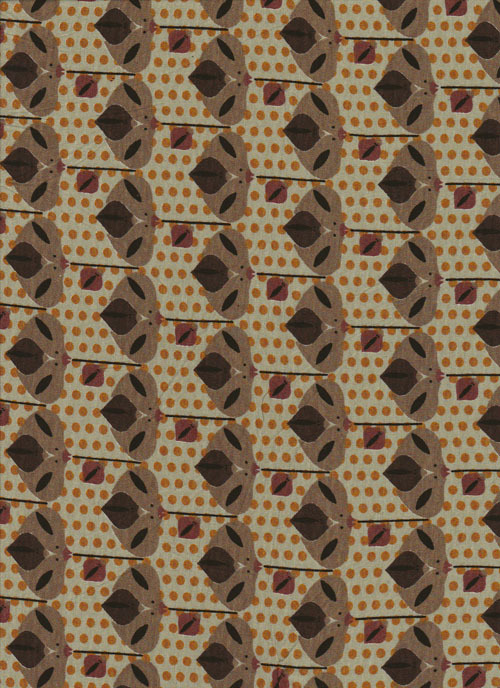 Italian retro printed Viscose Jersey in Multi Autumn tones. 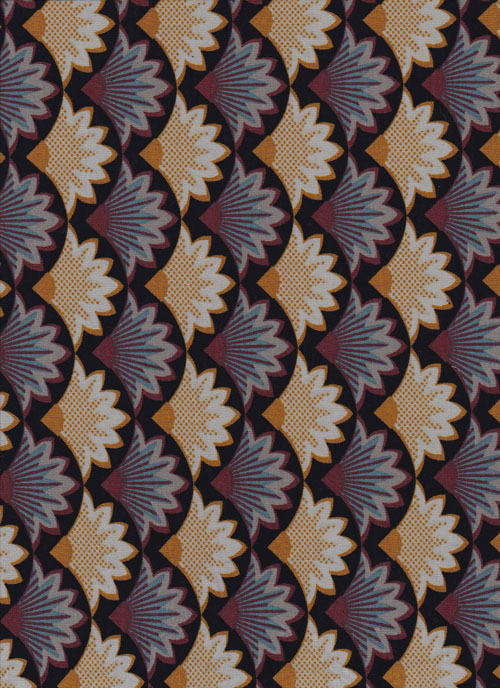 Italian retro bird printed Viscose Jersey in Multi Autumn tones. 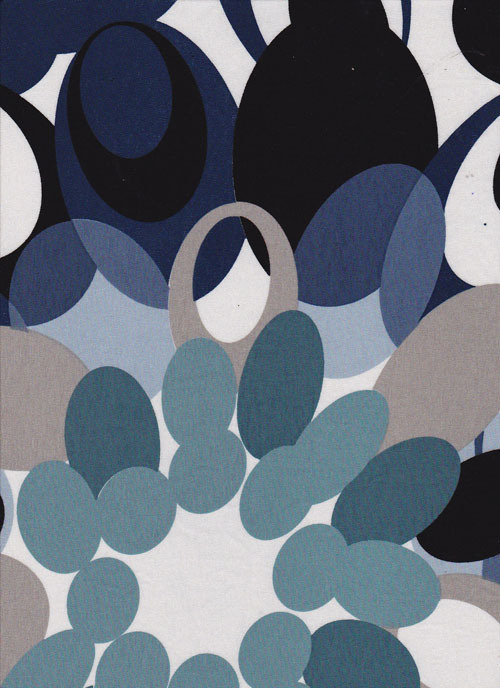 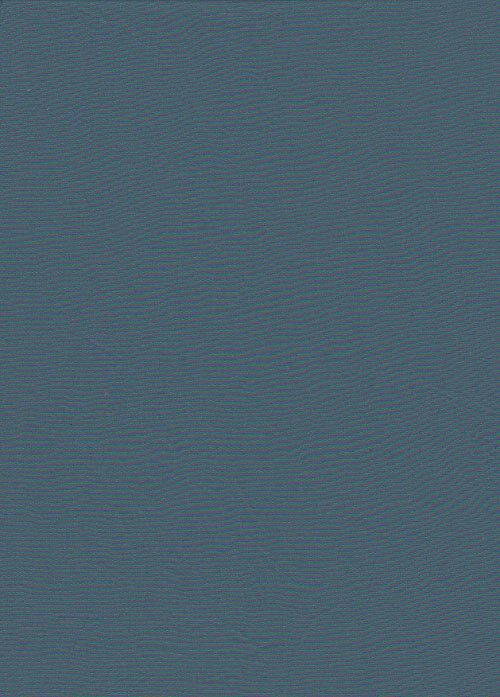 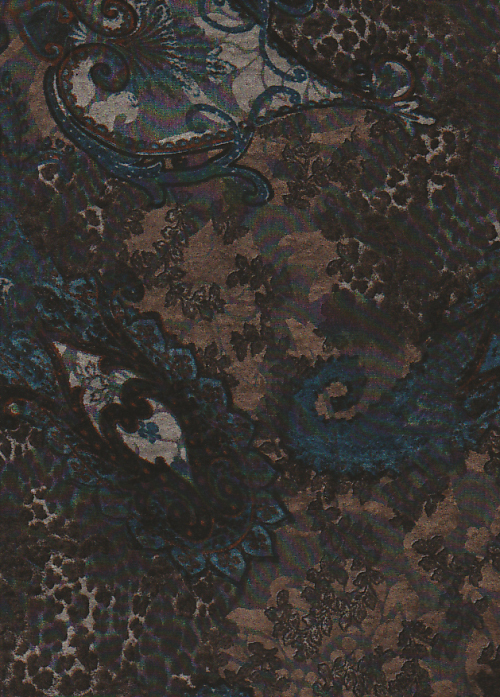 Italian Abstract Printed Viscose Jersey in Blues. 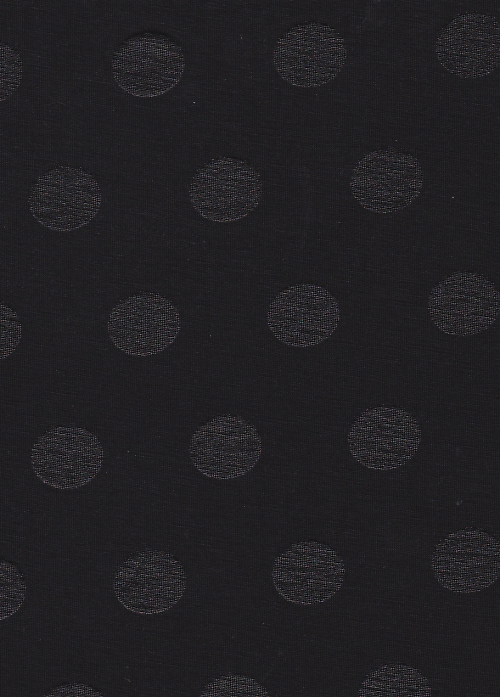 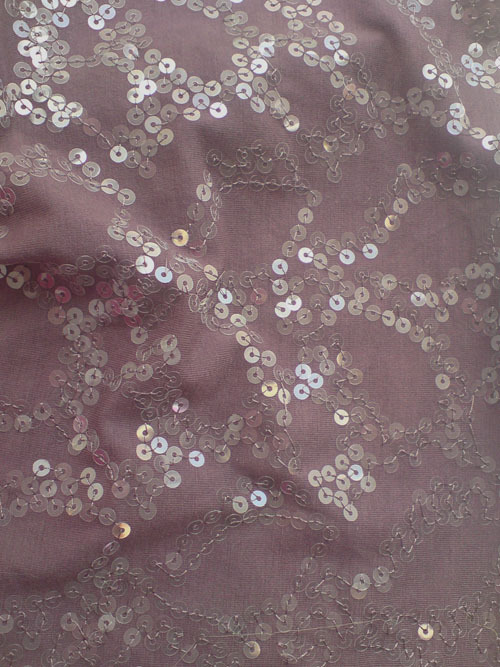 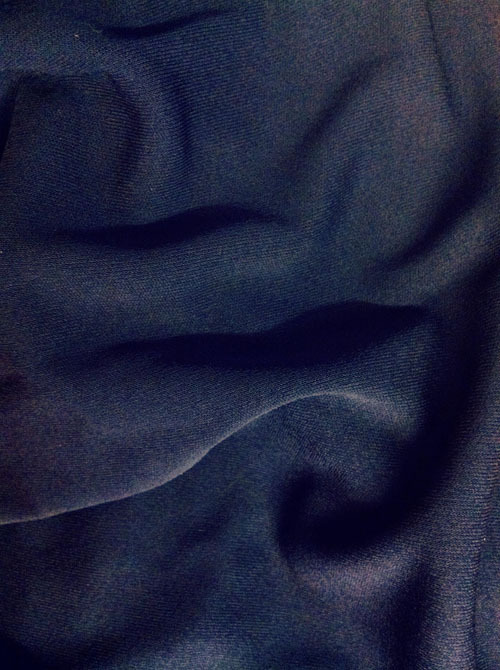 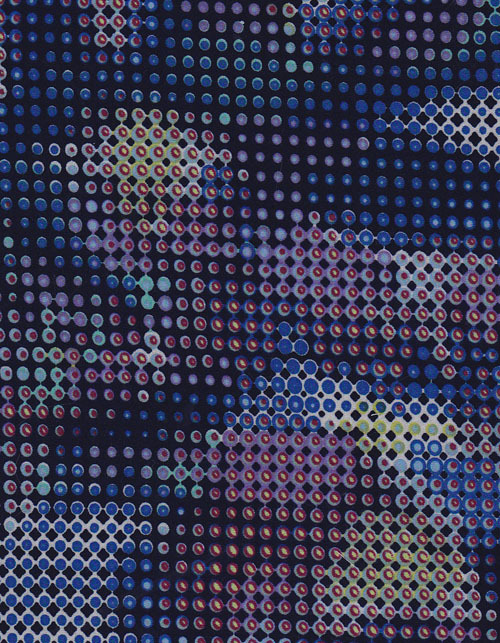 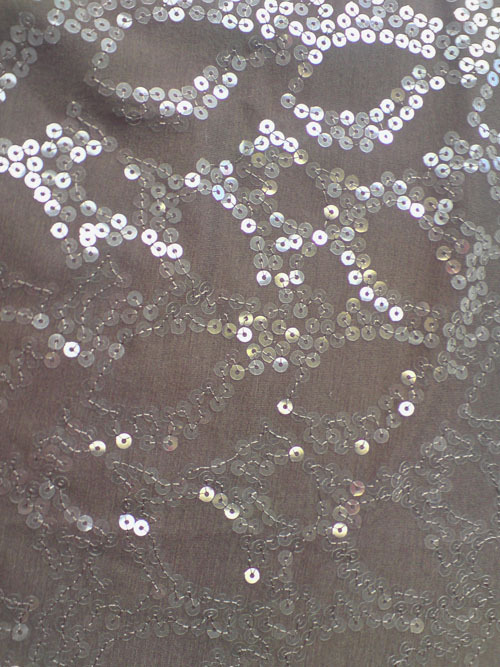 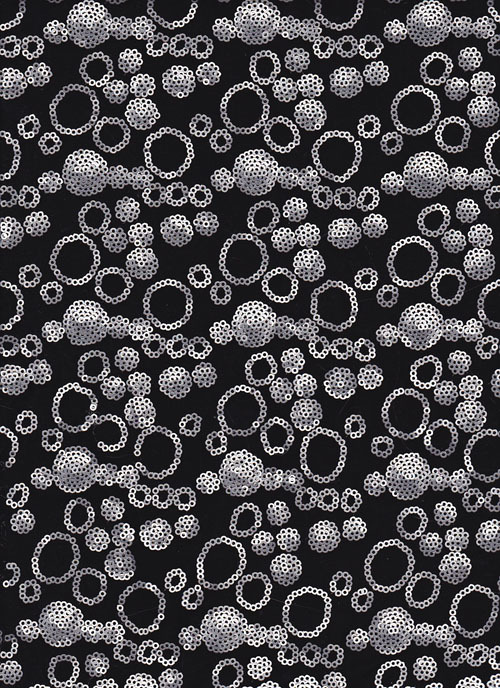 Square Sequins on Black Viscose Jersey. 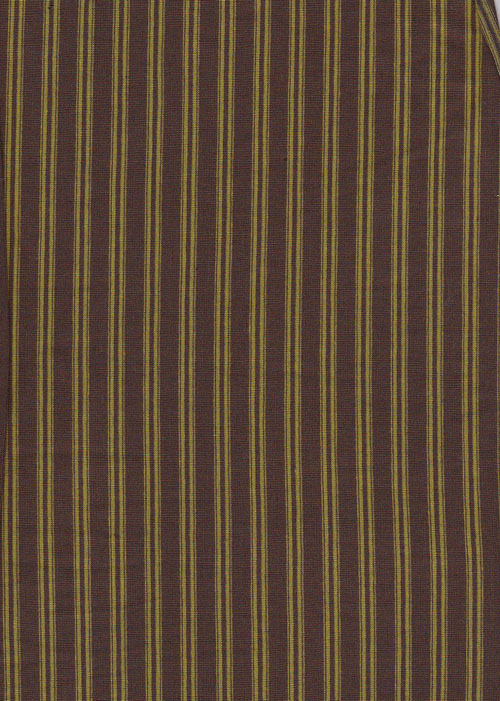 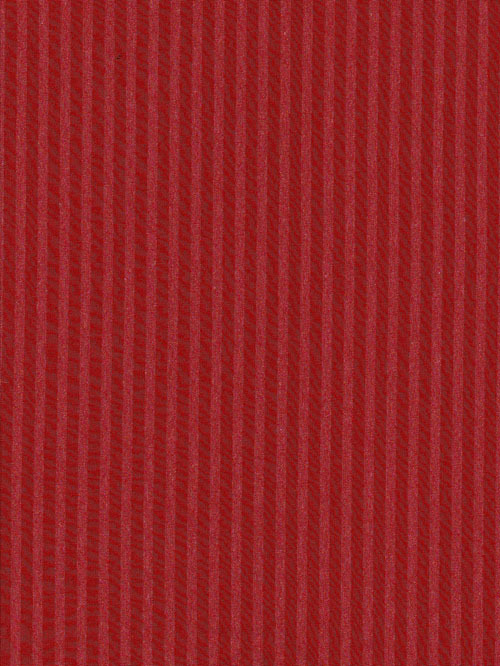 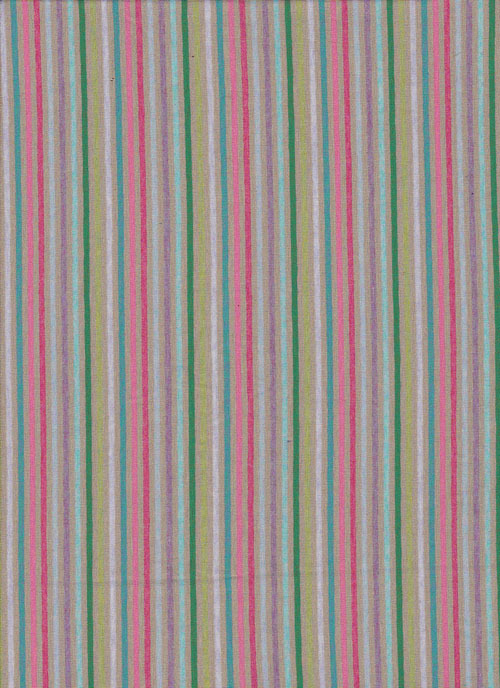 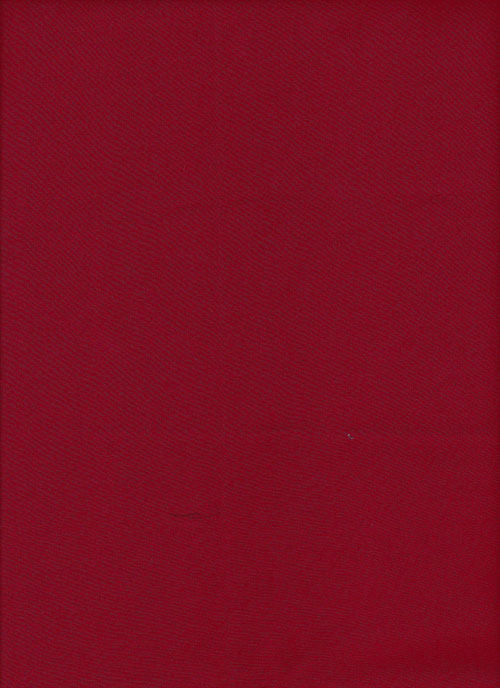 Riverside red striped Viscose jersey. 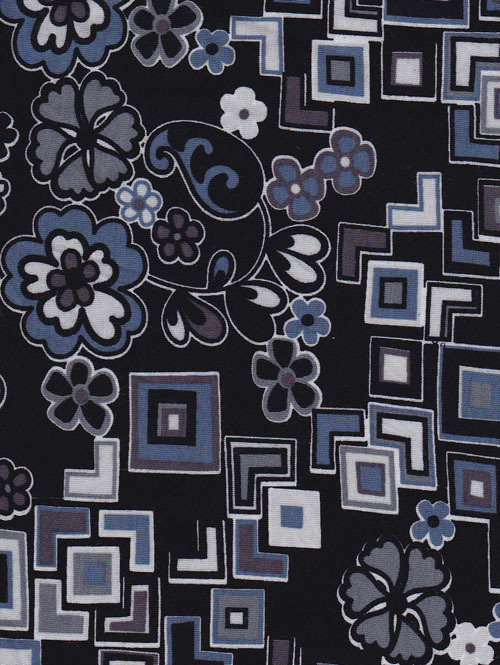 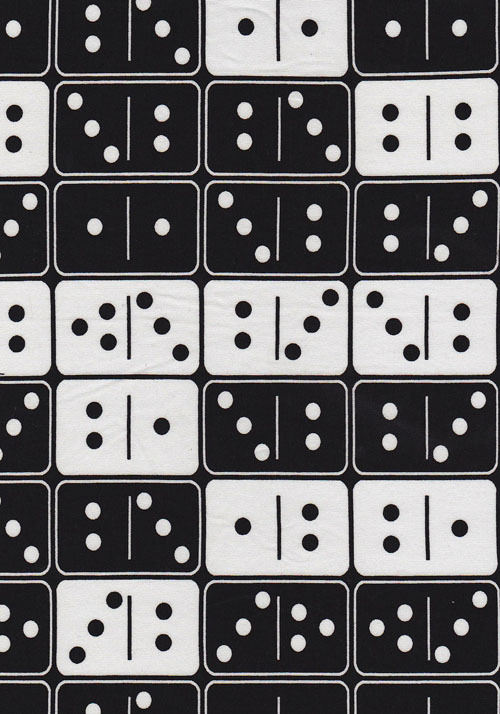 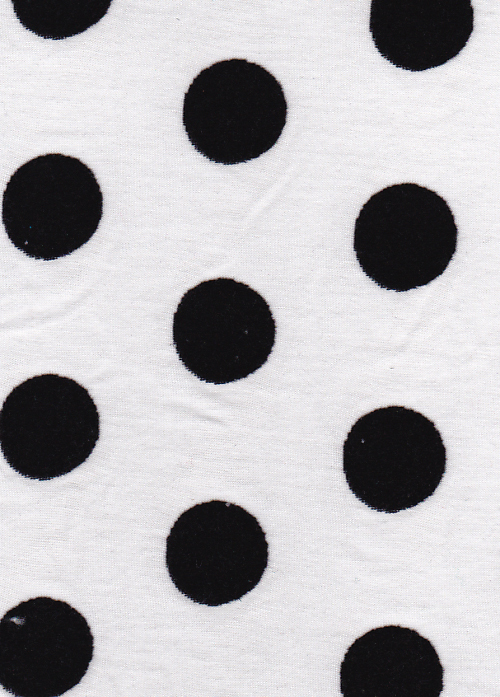 Riverside Black and white domino print Viscose jersey. 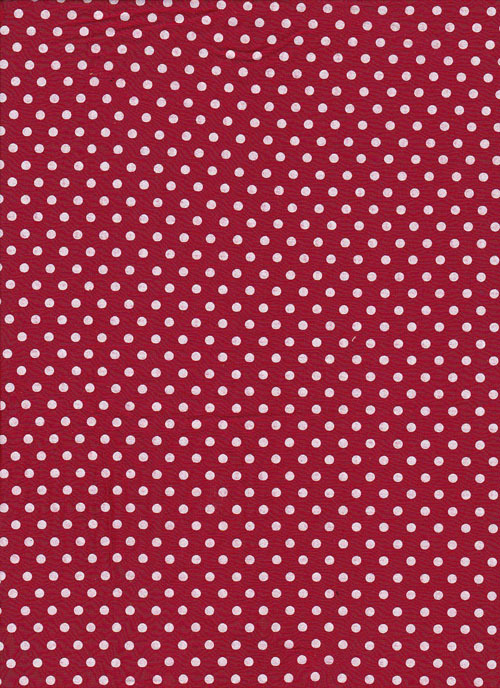 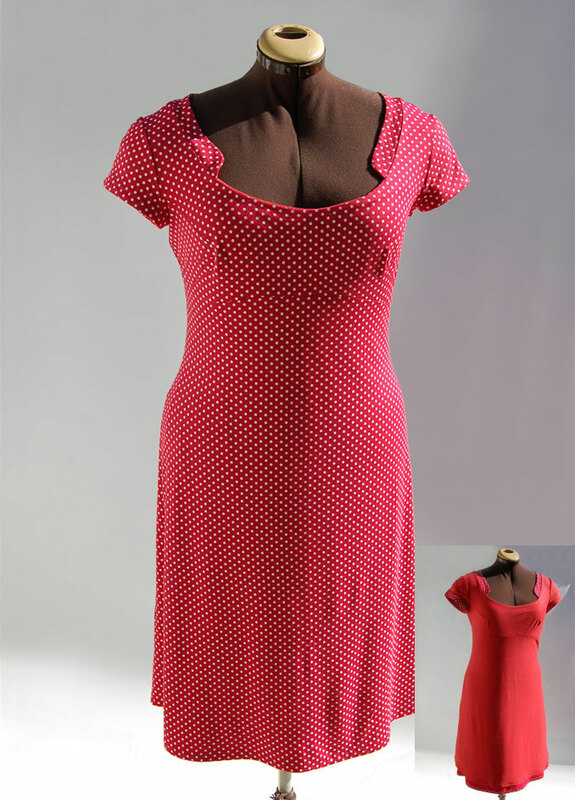 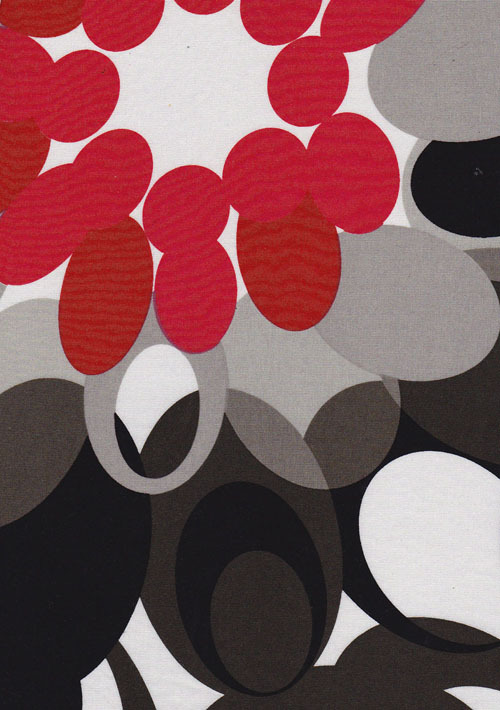 Red polka dot Viscose jersey. 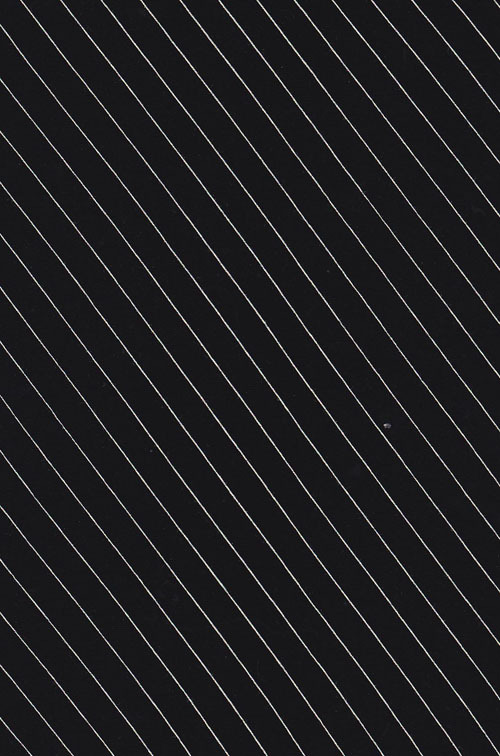 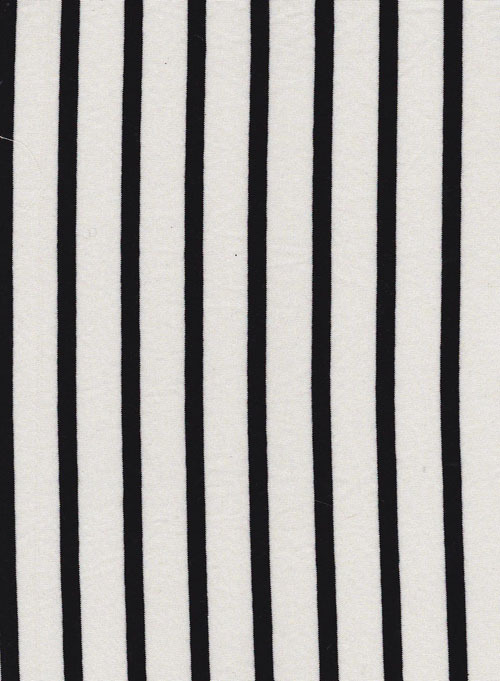 Black and white diagonal stripe fine Viscose jersey. 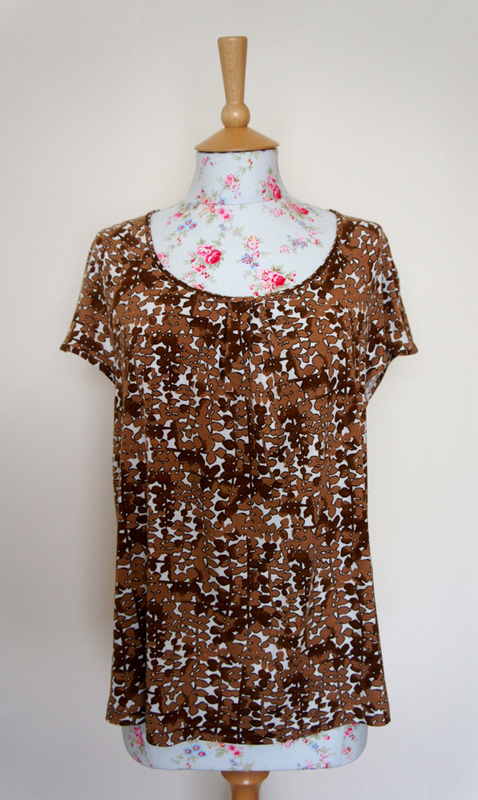 Brown and white polka dot Viscose jersey.